Harris County voters will head to the polls on Saturday — the first anniversary of Hurricane Harvey — to decide on a $2.5 billion bond measure that would finance hundreds of flood control projects. Flood experts say it would be a good start, but that it won't come close to solving the region's chronic flooding problems. On Saturday — one year after Hurricane Harvey slammed into Texas — Harris County voters will head to the polls to decide on a historic bond measure that would finance at least 237 flood control projects in the Houston area over the next 10 to 15 years. The Harris County Commissioners Court spent months vigorously debating the bond price tag. It ultimately settled on $2.5 billion, an amount that would represent the largest local investment in flood control in the county's history, while having a relatively small impact on property tax bills (an increase of 2 to 3 cents per $100 of assessed home value over the life of the bond). The county held more than two dozen town hall meetings over the summer to gather input from residents on which projects the bond should support. It is an unprecedented response to the widespread flooding the Houston region saw a few days after Harvey made landfall on Aug. 25 of last year. More than 150,000 homes in Harris County were inundated in what became one of the worst urban floods in U.S. history. 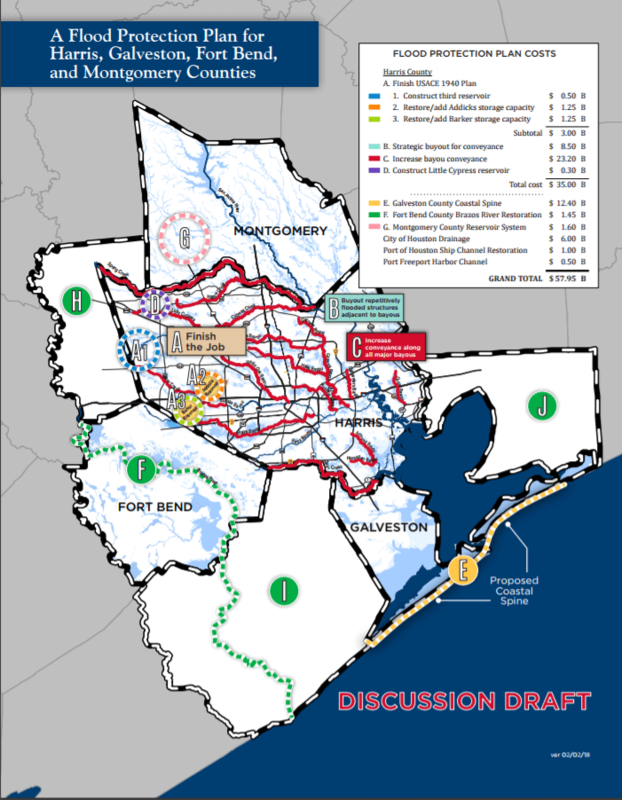 If approved — and recent polling suggests it will be — the bond would help fund the largest flood-related home buyout program in U.S. history, the completion of several long ongoing bayou-widening projects, an improved early flood warning system, new floodplain maps and dredging behind two massive, World War II-era dams that were built to protect central Houston from catastrophic flooding but became a flashpoint after Harvey when thousands of homes on both sides of the dams were inundated. Flood experts say the bond is a good start — and indicative of an unprecedented shift in the collective mindset of local leaders and residents — but that it won’t come close to fixing the region’s chronic flooding problems if it isn't carried out as part of a holistic and thoughtful approach that accounts for future growth and a changing climate. Also, while the bond may be historic in size, it pales in comparison to the total cost of all the region’s identified flood control needs — a local advocacy group recently unveiled a $58 billion wish list of projects. "It is encouraging to see that local officials are desiring to put serious resources into flood risk management," said Chad Berginnis, executive director of the Wisconsin-based Association of State Floodplain Managers. "Successful communities in the nation that manage flood risk put their own resources into the effort and do not just depend on federal funds." Berginnis said the list of bond projects "appears to be a good mix," but he added that flood mitigation plans should account for "tomorrow's flood risk," which is by most accounts escalating in the region amid explosive and largely unmanaged growth and sea level rise. It's also important to have complimentary land use and building standards — requiring homes to be elevated to a certain level, for example — in case flood control infrastructure fails, he said. 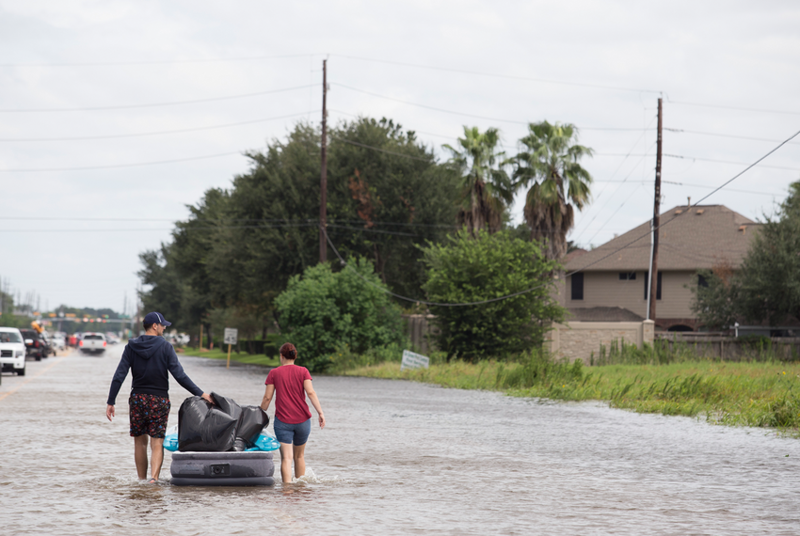 "Those new codes are going to be some of the most stringent in the country from an elevation standpoint, so I was amazed those were able to pass," said Sam Brody, a flood risk researcher at Texas A&M University at Galveston. But he said they're not going to do anything for existing, flood-prone structures. And he said he doesn't see local leaders sufficiently accounting for future conditions, specifically how future growth is going to impact where rainwater flows. Brody said his modeling on future land use shows that development in the Houston area's floodplain may double by 2055 — along with the metro population. "There are some jurisdictions — not in Texas — that when they plan, they are planing around a fully built-out watershed, and that’s a way to be conservative and also realize that future growth is going to take place and the environment is changing and our precipitation patterns are changing," he said, adding that "Galveston Bay has been rising for the past 100 years, and that will continue." The outgoing head of the Harris County Flood Control District, which would oversee the bond, told the Tribune in 2016 — the year before Harvey hit — that he would "love" to plan for climate change "if somebody would tell me what that is." In an investigation that year, the Tribune found that unchecked development in the nation's third-largest city set it up for a catastrophic flood. 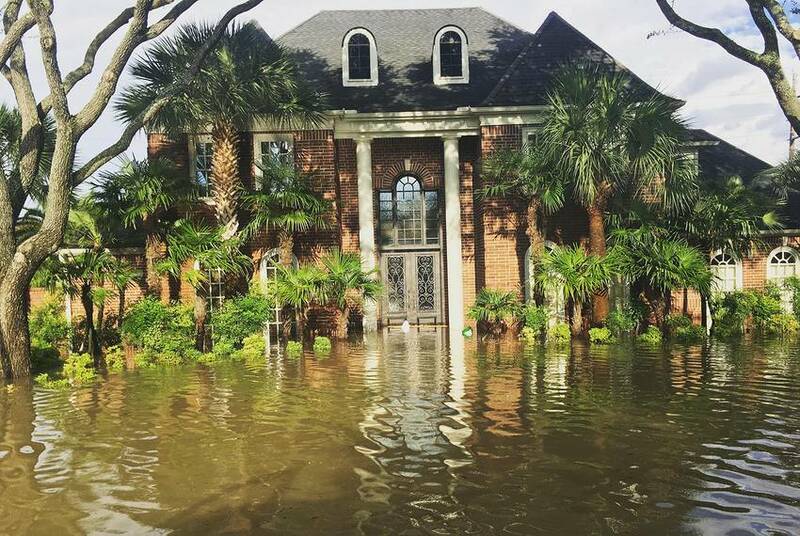 Harvey was the third major flood to hit the region in three years. In a recent Harvey anniversary report, Rice University researchers said local leaders should consider limiting development on absorbent prairie land on the west side to lessen the amount of water that ends up flowing downstream into the city during major storms — through conservation easements or other policies in which ranchers and farmers are compensated for keeping their land undeveloped. They also praised the bond but pointed out that it won't adequately address what they called the biggest and most pressing flood threat to Houston: The federally owned and operated Addicks and Barker dams on the west side of the city, which have been considered at risk of failing for years but haven't yet been repaired. During Harvey, the dams held back an unprecedented amount of floodwater — so much that it backed up into residential neighborhoods behind the dams, spilled around the sides of them and inspired the U.S. Army Corps of Engineers to release a torrent that flooded thousands more homes downstream even after the storm had moved on. The bond includes money for small projects that would increase the capacity of the flood pools behind the dams and $750,000 to study whether a third dam is needed. But ultimately it's the federal government that must do something about it, they said. Still, fixing the dams "should be the number one priority," wrote environmental attorney Jim Blackburn and engineer Phil Bedient of the Severe Storm Prediction and Prediction, Education and Evacuation from Disasters Center at Rice. "Dam failure cannot be allowed to happen." Lt. Col. Mark T. Williford, an Army Corps spokesman, said that the agency has been working to repair the dams. "Since 2010 we've executed a $75 million Dam Safety Program. This Mega-repair project will be completed in [April] 2020," he said in an email, adding that "In 2009, we did find deficiencies with cracks and voids discovered. From what our Engineers have explained to the public, these structures were classified as 'High Risk' or 'Unsafe' because of the population growth and urbanization now surrounding the structures." Flood experts the Tribune interviewed praised county leaders for prioritizing the buyout of homes hopelessly deep in the floodplain; the bond would pay for the purchase of more than 3,000, which Brody said would be the largest buyout program in U.S. history. Such a program would "eliminate the risk of flood damage and create an inventory of green space that can be used for channel construction that is wider and more natural than some current bayous," Blackburn and Bedient wrote, noting that would fit with a city of Houston initiative known as Houston Bayou Greenways Project that aims to link the city's vast network of bayous through the construction of hike-and-bike trails. "In many respects, this project would represent a redesign of Houston and Harris County around local water systems, showing both respect for the extensive area covered by water in large storms and also providing a balanced response between engineering, planning, and common sense," they wrote. "If Houston and Harris County were to implement this type of localized solution, it would catapult the region to the top of innovative thinkers in an era when all major cities, particularly those along the coast, are struggling to respond to increased rainfall amounts." Still, Brody cautioned that buyouts should be implemented strategically and fairly. Buyouts "tend to be ad hoc and reactionary," he said, adding that it's important to not just cut a check to someone and walk away, but to help them relocate. "You don’t want to buy someone out, you want to make them whole," he said. Regardless of the outcome of Saturday's election, the Houston area already is poised to receive some money for flood control projects. Last month, the Trump administration announced that the state will receive more than $5 billion for a range of flood control projects, repairs and studies. 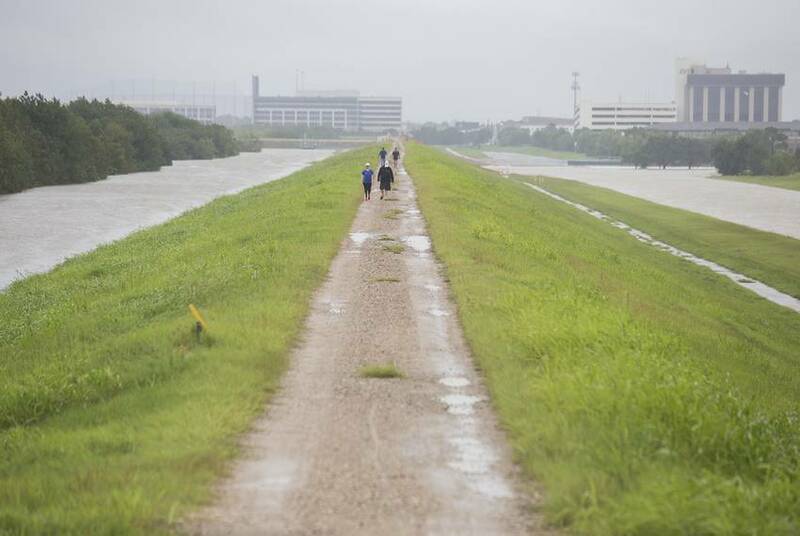 While the bulk of that — $4 billion — will go toward the construction of coastal levees, Houston will receive hundreds of millions to complete several major flood control projects and repair flood control infrastructure damaged during Harvey. 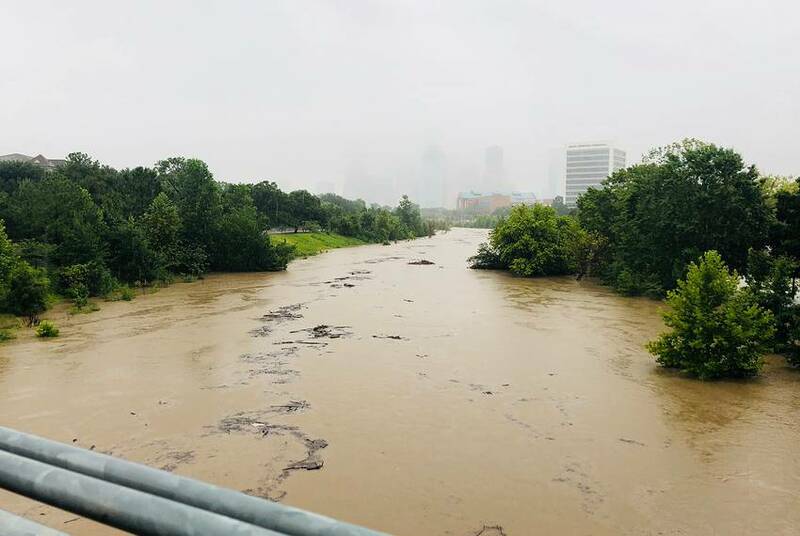 Some of the flood projects set to receive funding — namely three major bayou-widening projects — have been under construction for more than two decades in part because of the Harris County Flood Control District's pay-as-you-go approach. The agency’s annual budget is only about $120 million. Support for this story was provided by the Weather Eye Award, an award given to distinguished local reporters by RiseLocal, a project of New America’s National Network.